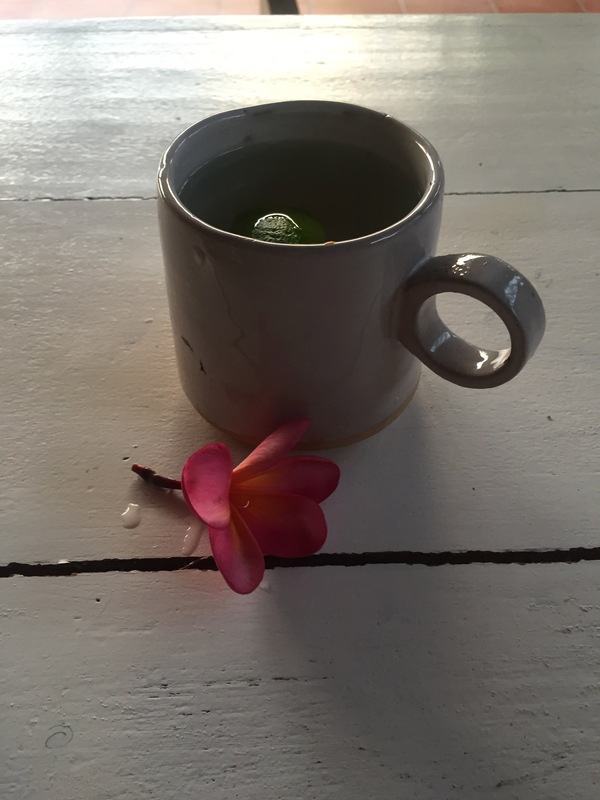 At the start of October, I led an online seasonal Ayurveda cleanse. For 5 days I shared my daily ritual practices to create more health and vitality in my life with students around the globe. 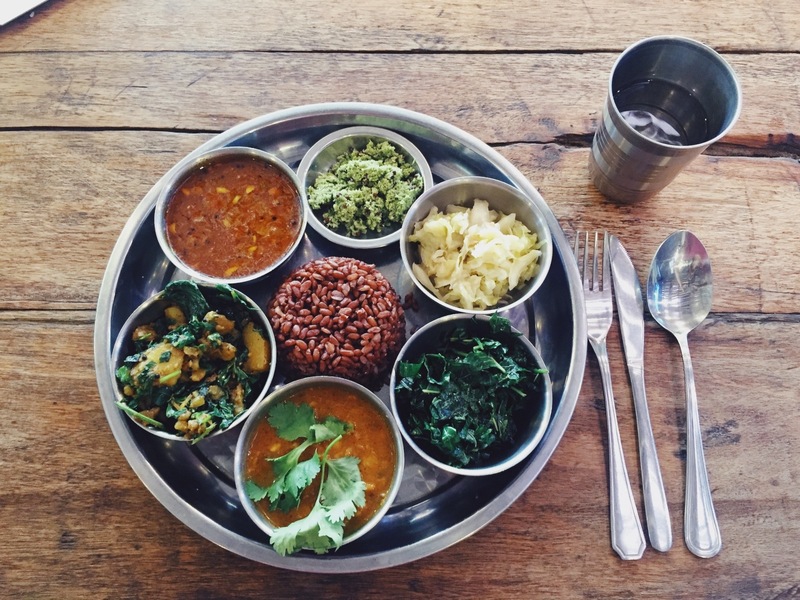 We feasted on khichadi and homemade digestive teas made with simple kitchen herbs. We also simplified our schedules to create more space for self-reflection and healing. These practices are derived from Ayurveda, the ancient science of wellbeing and longevity that inspires so much of my work and my life and they were a wonderful gift of presence and clarity and re-amplified for me, the divine gift that is Ayurveda. I emerged feeling as though I had shed anxiety along with some excess heat (i.e. irritability) left over from the summer and felt more ready to face the cooler months to come. 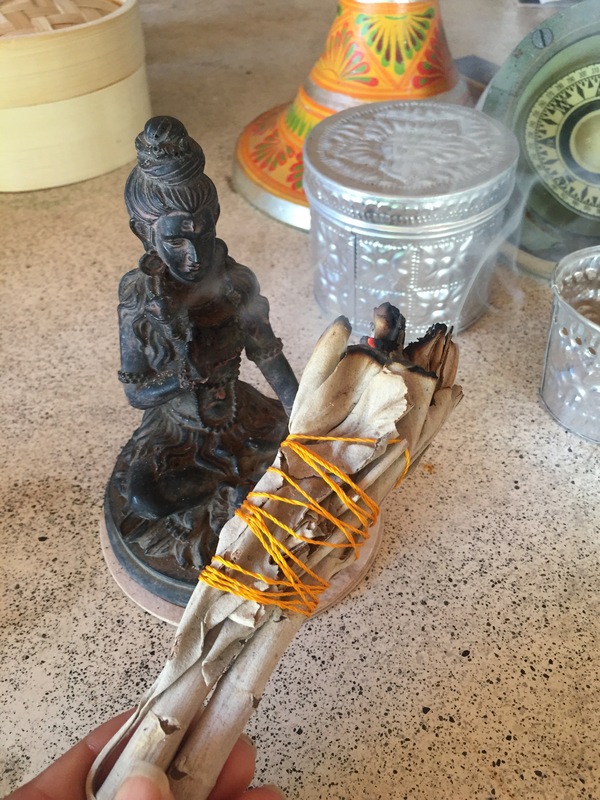 Seasonal cleansing is a big part of how we live in rhythm with natural cycles and I will write more about that soon, but today, I want to shed a little more light on a daily practice that is essential to our health and is something that we can create and experience in every moment of our lives. This is a practice we call Dinacharya. 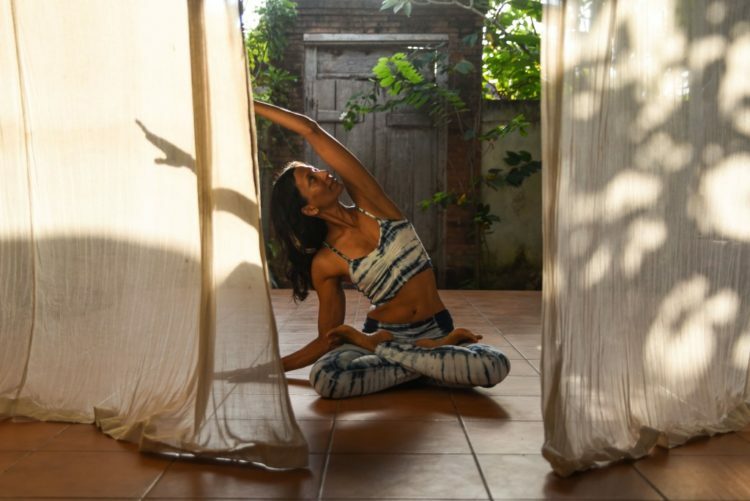 Read on for more info on dinacharya below, and take a moment to check out this video I created this year in Bali, where I share some of the daily practices that inspire me every day!!! Ayurvedic Daily Rituals with insiya Rasiwala-Finn from Yogue on Vimeo. Dinacharya is a Sanskrit word that literally means, “having mastery of one’s day.” It is an ancient Ayurvedic concept of aligning human activity with the natural rhythms of the day and night that is also gaining traction with modern scientists. In fact in 2017 researchers Jeffrey C. Hall, Michael Rosbash and Michael W. Young won the Nobel Prize in Medicine for their efforts in discovering how internal clocks and biological rhythms govern human life. Interestingly, it corroborates perfectly with something that Ayurveda has known for thousands of years, that there is a linkage to our overall health and wellbeing and circadian rhythms. What are some of the benefits of aligning our rhythm to the natural rhythms of the day/ night? More energy, a deeper sense of connectivity, a stronger immune system, and balanced hormones. Also it impacts our metabolism and weight gain. E.g. the earlier we eat in the day, the more likely we are to lose weight / not gain weight. Creating a routine that works for us, also allows us to no longer have what we call “decision fatigue.” All of a sudden, we are able to do the things we need to do for our wellbeing, without wondering when / how / where to fit them in. How do I follow dinacharya? I have a daily routine that I have now been following for many years. It is a routine that modifies slightly according to the seasons, e.g. In the winter, I tend to sleep more than in the summer months; and my food varies seasonally as well, but the parameters are similar. I try to align what I do in my life to the times of day that best support those activities. 1. I awake early, between 5:30 to 7 a.m.
2. I scrape my tongue with a copper tongue cleaner. Then I sip a large jar of warm water with lemon to stimulate digestion and cleanse my organs. I notice usually that after this jar of warm water I have to go to the bathroom, which is ideal, as this is the time of day when our body wants to eliminate all waste matter from the body. 3. Next, I light a candle, get quiet, meditate, chant a mantra or take 5 minutes in gratitude. I do this in a quiet space in our living room on a sweet meditation cushion in the waking dawn. 4. Now it is time (before my son awakes) to give myself a daily Abhyanga or oil massage to soothe the nervous system and nourish the tissues with lots of goodness and love. I use sesame oil most often, but you could use Almond, Sesame or Coconut oil depending on the season and your constitution. 5. I keep the oil on for approximately 20 minutes before I rinse it off in a warm (not hot) shower. In the interim, I do a few sun salutations and yoga postures focused on activating my core. This helps to generate some heat and allows the oil to penetrate into my deeper tissue systems. 6. After bathing, I anoint myself with natural oils. The oils help to fortify our aura. Plus, it is so so important to stay away from toxic anything, especially what you apply on your largest organ: your skin! 7. I plan any meetings between 10 – 12 noon, when my mind is sharp and I can think clearly. 8. I eat a warm meal when the sun is highest (midday) – allowing my digestion and metabolism to function at its optimum. 9. At night: I create a ritual around winding down to allow my body, mind and spirit to truly rest. Recently, I have been playing my Tibetan singing bowl when I put my 7 year old to sleep and it is incredible how calming and soothing that process is for him. Another note, do try to sleep by 10 p.m. before your second wind kicks in and do turn off all tech devices in your room – or better still, make your bedroom a sacred tech free temple. This will help your sleep immensely. I also offer gratitude for the day so I feel at peace. Do let me know if you can incorporate dinacharya in your life and what the effects are in your life. I would love to know what you are able to include and be with! I hope that this work inspires you! Please connect with any questions. NAMASTE!!! Very informative – in line with the Trancendental Medication course that I completed a number of years ago.